Modern landscaping poses many threats to nature due to modern techniques such as block paving and artificial grass. As these methods are on the rise, they take away much of the natural resources for garden wildlife. We look at how you can make your landscape nature friendly as well as easy to manage and a pleasurable place to be. An easy and cost effective way of having nature in your garden. Fill your bird boxes with seeds and put them near a fence.. wait and watch all the birds surround your garden. Just make sure you take care of any nearby cats and ensure their owners make them wear a bell. 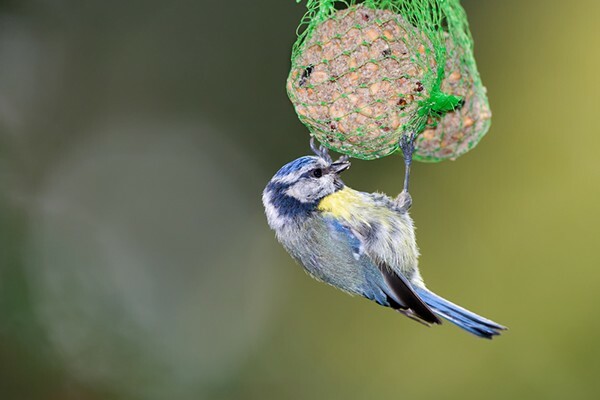 Bird boxes are not expensive and can make your garden look a lot more appealing with fancy wooden frames. When planting in your garden, look out for flowers that will attract bees such as wild flowers and plants with single petals. Remember that bees help pollinate flowers and without bees we wouldn’t live in the way that we do. Plant brightly coloured flowers to attract bees, they particularly go for white, blue and purple colours. When planting ensure you do it all in good timing so that your plants bloom in sequence and all year long they are available. Vegetable and fruit plants are highly recommended, not only do they attract bees but the product can be used in your home. Plants such as strawberries, cucumbers, cherry trees and pumpkins are all great to grow and cook from. To attract wildlife you might not necessarily find in your area you could invest in a pond or water feature in your garden. This is considered the easiest way to attract wildlife, a simple pond will not cost much and can allow you to cater for fish or other wildlife bought from a local garden centre. Allow water plants to grow and ensure you have a small slopped area since most frogs and other creatures like shallow waters. 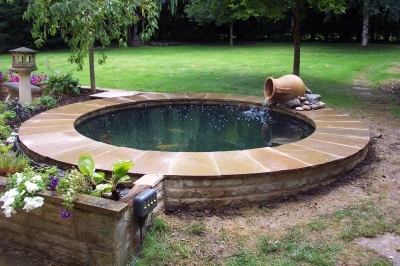 View some of the water features installed by Groby Landscapes. Composting is a great way to not only dispose of food waste but to create soil and a location for wildlife to breed. Slugs, snails and worms will enjoy a good compost and benefit from the heat released by decomposition. You can chose to do this with a compost bin or just to cordon off an area within your garden to create a heap.